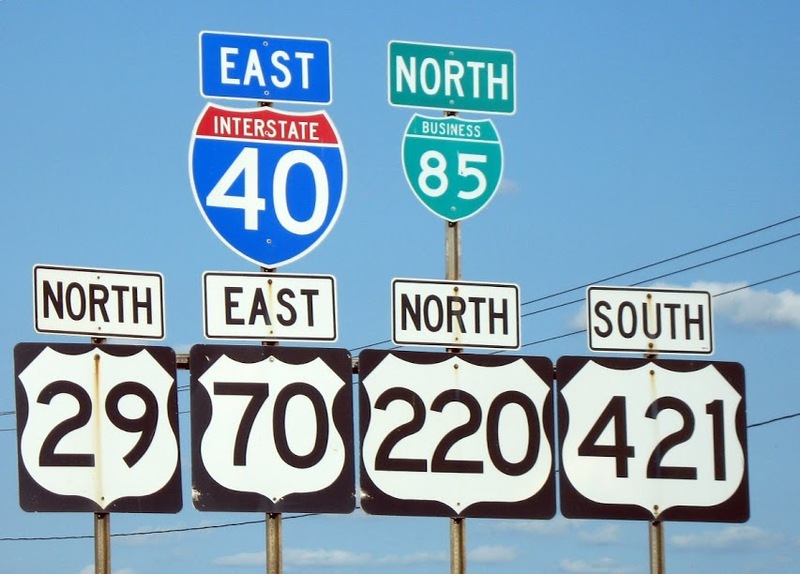 With their bold colors and stylized shapes, road signs look perfectly modern, but their color rules were actually defined in the 12th century, in Western Europe. Road signs are not the first signs that had to be easy to see and read from a distance. When metal armors developed in the Middle Ages, it became impossible to identify people on battlefields by looking at them, because their faces were hidden by their helmets and most armors looked the same. The solution was to use their shields to paint bright signs that would represent their identity, which helped avoid confusing friends and enemies in battles and tournaments. Then the designs spread from the shield to robes worn over the armor and on the horse. 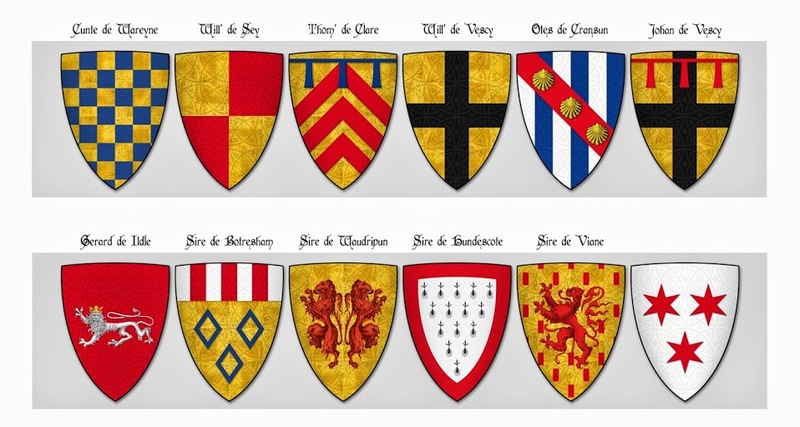 That’s how coats of arms were born. Because these signs had to be easy to see from a distance, rules were created to make them stand out as clearly as possible, especially regarding colors. There were six colors allowed: red, yellow, white, black, blue and green. These six colors were divided into two groups: white and yellow in the first group, and red, black, blue and green in the second. The main rule was that the background had to be in a color from one group, and the large shape on top had to be in a color from the other group. You could not have a background and a large shape from the same color group. For example, if the background was red, the main shape on top could only be white, or yellow. If the background was yellow, the main shape on top could not be white, because white and yellow are in the same group. 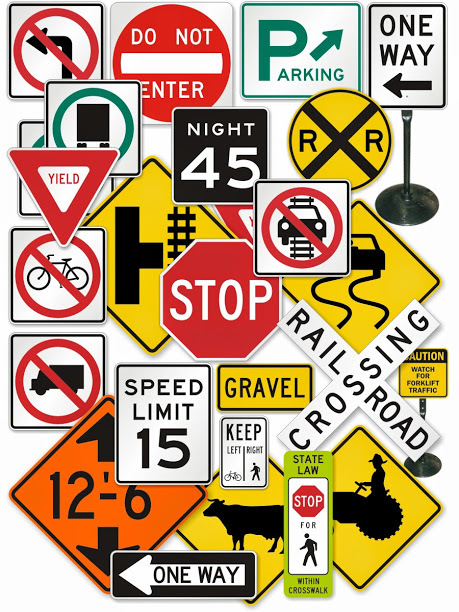 The same color rules apply to road signs everywhere in the world today. And that’s the origin of road sign colors — 12th-century battlefields in western Europe and the rules of color composition for coats of arms, which had to be easy to see from a distance.